for all things Geranium & Pelargonium ! Check out the list of topics covered. called "geraniums" are correctly and scientifically named "Pelargoniums". 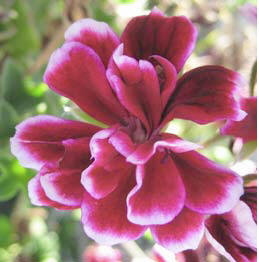 Read about the Geranium Family and other articles on Pelargonium. cultivation, hybrids, distribution etc., are requested and will be considered for inclusion. or blogs that would be useful or informative to our readers, send us the link We look forward to hearing from you .